Classic children's books have enthralled and delighted children for years. Some have provided enjoyment for more than 100 years, such as Beatrix Potter's "The Tale of Peter Rabbit", which was first published in 1902. Others are a more recent phenomenon, such as J.K.Rowling's "Harry Potter" series. To become a classic, a children's book must have interesting content, with identifiable characters and a captivating story. In the case of picture books, they should also have appealing illustrations which complement the story. 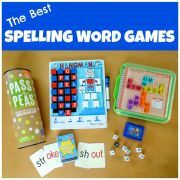 Many of the classics have stood the test of time, entertaining generation after generation of children. Deciding what to call a classic is, however, a subjective matter, and there is no one definitive list. In order to compile the lists of classic children's books below, I reviewed over 20 highly regarded separate lists of children's books. If a book appeared on a number of these lists, they made it onto my list. Books which have won a specific prestigious children's book award, such as the Caldecott Medal, Newbery Medal, British Book Awards or Booktrust Early Years Award. Reading lists from reputable sources, such as the New York Public Library, the National Education Association or The Telegraph newspaper. Books selling more than 750,000 copies in the US since initial publication, as listed by Publisher's Weekly. 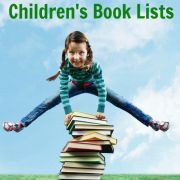 I then organised all the books on my list by the targeted age group for the book, which naturally splits the books into broad categories of classic children's books, such as preschool books or chapter books. Books with the most mentions are listed first within each category. If your favorite children's book is not on the list, then please do share it with us. We'd love to hear about it. Just click here and follow the instructions. 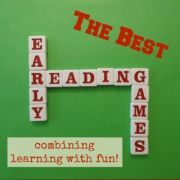 Preschool Books The best preschool picture books destined for children under three years old, guaranteed to ignite a love of reading which will last a lifetime. 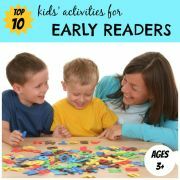 Children's Picture Books Cement your young child's love affair with books with these picture books targeted towards children three years old and over. 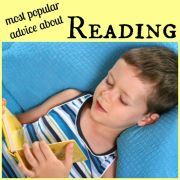 Picture Books for Older Readers Older children still love to read and listen to picture books. Try these picture books written for children aged five and above. 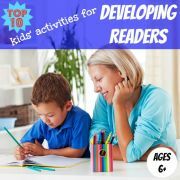 Children's Chapter Books Help to develop your child's appetite for reading with these chapter books, where the story moves fast and each chapter is short enough to be read in one sitting. 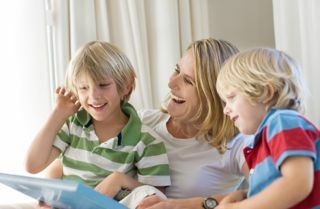 Children's Novels Awaken a passion for reading in your child with these inspiring children's novels, aimed at children aged eight and over.